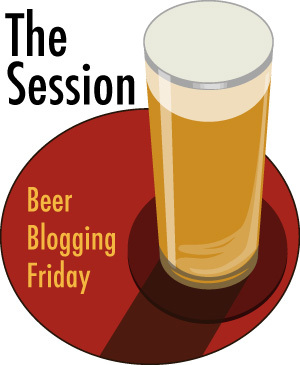 Next month, Montana Beer Finder will be hosting the 72nd installment of The Session. In light of it being about two weeks before Valentine's Day, I thought it would be a good time to talk about how we love beer. Pay attention now, as I said "how," not "why." Much has already been discussed about why we love beer: its creativity, its taste, its social aspect. Think of this topic and discussion in terms of being in a relationship (again, a good primer for Valentine's Day!). You can say to your partner, "Honey, I love you." But think of the saying, "actions speak louder than words." From my personal experience, it's always better to show your partner the ways you love them instead of saying simply, "I love you because you make me happy." Instead if you come home with flowers every now and then, or do extra house chores without being asked, or plan an impromptu date, these are ways we show our partners how we love them because our actions show we think of them when they're not around. To bring that back to beer, I'm not suggesting we need to be thinking of beer all the time, or as much as we think of our partners (though some of us might! ), but I'm curious to hear what you beer lovers do to show appreciation for good craft beer. Perhaps it's that you buy a case of your favorite seasonal and share it with others every chance you get, or you commit yourself to only drinking that beer until it's gone. Perhaps whenever you travel to a new place, you seek out as many local beers as you can instead of finding your favorites. Perhaps you don't even buy bottled beer, but instead fill your growlers and drink at local taprooms. Perhaps our writing and blogging about beer shows how we love beer. Again, think of the phrase, "actions speak louder than words," so I'm not looking for what characteristics beer has that makes us love it, but what we do to show our love for it. I look forward to reading your posts on February 1. Have fun! Took me awhile to find you. The list has not been updated to include the link to this post. Getting started late, but I'll see what I can come up with. As a UM grad and someone whose heart still resides in Montuckybama, I had to make sure I posted for the Montana Beer Finder Session. Thanks for hosting! Here's my post, which went up this morning. Good topic, had to do some thinking about it before writing. I love beer by having beer as a part of my love...! and I cant believe that both Glen from Beerisyourfriend and James from Beerbarband beat me to post! bugger. Got a little help from Ryan Gosling on this one. Guess he loves beer, too. Thanks for hosting! Excited to go through these contributions. My first as I am a very recent beer blogger. Thanks for hosting! I'm not sure about this baring of the soul, but here is my post. Thanks for the topic and hosting! Some great posts here! Looking forward to going through them all! Cheers. Sorry for the lateness, I was too busy loving beer last night to post. Thanks for hosting. Hi Ryan, thanks for hosting this month! I'm late this time around, but my post for the Brew Site is here.